Video ad serving platform, SpotX, today announces an evolution in its existing server-to-server bidding product to allow media owners to integrate third-party header bidders into their yield management programs. Built around SpotX’s advanced ad serving technology, which has provided cloud-based, server-to-server bidding capabilities since 2007, the suite of products has been expanded to include client-side and server-side header bidding options. Combined, the new tools give media owners flexible options for competing all demand sources simultaneously to ensure the highest paying ad is surfaced on every opportunity. By integrating third-party header bidders into SpotX’s programmatic infrastructure, media owners will be able to manage demand partner latency, set price floors, allocate priority tiers to campaigns, access integrated analysis and reporting tools, and honor all campaign contracts. SpotX’s Senior Director of Product Management, Kevin Hunt, said the use of advanced ad serving tools to execute server-to-server bidding is the most efficient and effective option for competing demand sources simultaneously in video. “Integrated ad serving and SSP tools enable media owners to execute server-to-server bidding – a more efficient and effective method of competing demand sources than header bidding,” Hunt said. Direct integration with SpotX’s advanced ad server with support for third-party client-side header bidders. With this option, publishers using SpotX as their primary ad server can implement third-party header bidders and the results of their auctions will be submitted to SpotX’s advanced ad server, which will execute a holistic auction. 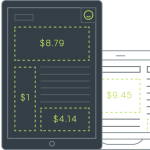 Header bidding support for Google’s DoubleClick For Publishers (DFP). This option allows a media owner to continue to use their third-party header bidding partners but SpotX will submit the winning bid to DFP, regardless of whether the winning bid is from SpotX or from one of the third-party header bidding partners. The vision behind SpotX’s product suite is a system that maximizes yield through integrations with more than 60 DSPs and ad partners that can be turned on/off with the flick of a switch, while providing controls, reporting and analytics from a single, consolidated platform. For more information on SpotX’s server-to-server and header bidding solutions, contact Kevin Hunt at kevin@spotxchange.com. SpotX is a video ad serving platform providing media owners with monetization tools for desktop, mobile and connected devices. The platform features modern ad serving and programmatic infrastructure, and other monetization tools, like solutions for OTT and outstream video ad units. SpotX gives publishers the control, transparency and actionable insights needed to understand buyer behavior, manage access and pricing, and maximize revenue. The company is headquartered in Denver, Colorado, and has offices in New York, San Francisco, London, Sydney, Amsterdam, Stockholm, Hamburg, Belfast, and Singapore. In July 2014, RTL Group, a leader across broadcast, content and digital, acquired a 65% stake in SpotX. For updates, follow SpotX on Twitter and LinkedIn.